Are NuGrape and Other Brands Valued as Highly? When it comes to advertising collectibles, Coca-Cola is one of the most recognized brands in the world. There are tons of signs, bottles, trays, and soda foundation collectibles emblazoned with one of many Coke logos and slogans used since 1886. But that doesn’t mean that similar advertising items for other brands, whether they’re still being sold today or not, can’t be worth a good sum when they are found in really nice condition. Some of these are NuGrape, Orange Crush (see slide two), Dr. Pepper and, of course, Coke’s biggest cola rival Pepsi-Cola (see slide three). All these brands, along with dozens of others, are avidly sought by one type of collector or another. Some people focus solely on one brand; others collect soda memorabilia as a whole. The most commonly found items are those that grocery stores, service stations, and the like used to advertise the availability of these products within their businesses. Anything with a soda brand attached to it, especially items dating from the 1960s on back, holds value. This thermometer sign advertising NuGrape soda dates to the 1940s. It is a particularly colorful example for this brand, and not as commonly found as some other NuGrape thermometers. It has very light wear and minor marks, which categorizes this piece as excellent in comparison to other similar pieces. This thermometer measuring 16” tall and 6 1/2” wide sold for $600 (not including buyer’s premium) at Morphy Auctions in June of 2013. Coca-Cola thermometers from the 1940s, in comparison, are typically more common in most styles and sell in the $200-400 with the exception of those aforementioned rarities. Those would likely sell for even more than this hard to find NuGrape example. Are Other Soda Brands Worth as Much as Coke Collectibles? Unusual examples from various periods and antique items dating back to the 1880s are going to always bring exceptionally high prices when it comes to Coke memorabilia. There are an inordinate number of collectors around the world looking to own these, and a limited supply left on the secondary market to satisfy demand. 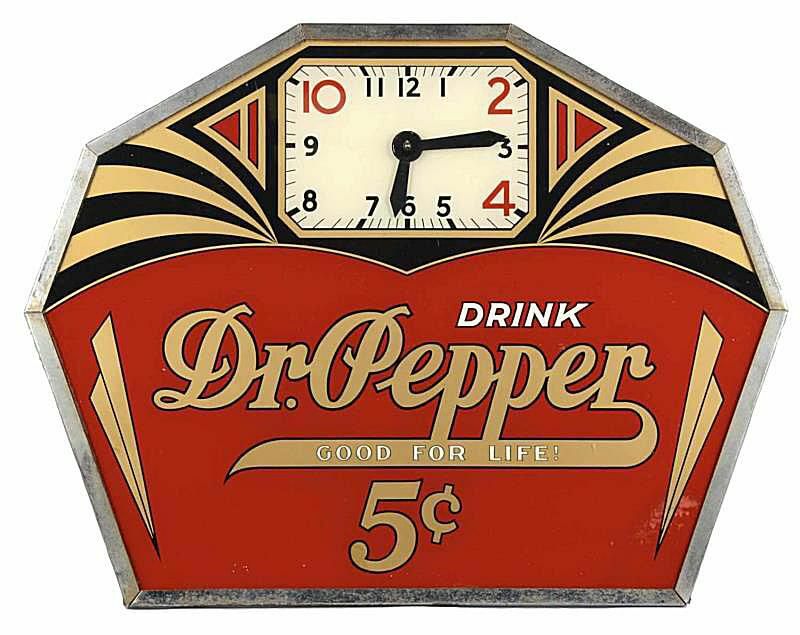 In some instances though, a sign for another beverage produced for a short time might actually be rarer than most Coca-Cola memorabilia. If there’s a demand for that rarity, the price will skyrocket. Some brands can be so obscure that no one really seeks them out, so rarity won’t have as much as an impact on the value. Overall, however, you can safely assume that any type of soda memorabilia will hold at least marginal value when you can snag a piece in good to excellent condition. Another scenario is that a particular sign was used for only a short period of time. Either a product was redesigned, or maybe a design was discontinued, and there just aren't that many examples of associated memorabilia remaining to fill collector demand. In these instances, other brands can easily rival, or exceed, Coke memorabilia. Even though it has been framed without glass for protection, this 1929 Orange Crush embossed tin sign appears to have never been used and remains in excellent condition. The colors are vivid and the graphics of the "Crushy" mascot as well as the bottle style are desirable to collectors. Marked on the bottom right edge "Printed in the USA 11-29." When held at an angle you can see a light manufacture flaw running through the bottle. Even so, it is considered to be a desirable example of Orange Crush memorabilia from the Art Deco period. Measuring 30 1/2'' long framed, it sold for $2,460 including buyer's premium at Morphy Auctions in December, 2016. How Do Coke and Pepsi Collectibles Compare? Coke may have it wrapped up as far as the cola beverage market share is concerned, but that's not necessarily true when it comes to collectibles. Take ink blotters, used to wipe the tip of a fountain pen back when that was the favored method of writing, as an example. Many of these were used for their intended purpose back when they are new, so those remaining are desirable to collectors. There's also a novelty factor about them since they are no longer being used today. For one, several of these Pepsi blotters are fairly early in age and harder to find than newer examples. There is also a Canadian example, the colorful one with a ruler in the center, that is not as plentiful in the United States as other styles. That's not to say you won't find older Coca-Cola blotter rarities selling for good sums, too, but this is still a formidable per piece price exhibiting that Coke isn't always the king of colas. Hilda Clark: The First "Coca-Cola Girl"
What Determines the Worth of a Buddy Lee Advertising Doll? Are Old Wooden Cigar Boxes Worth Anything? How Much Are Old Fishing Lures Worth? Who Were the Gold Dust Twins?